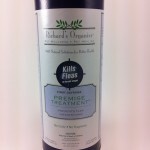 First Defense is a dry, odorless, white powder in the boron (boric acid) family. It goes on odorlessly and remains odorless forever. Working as a desiccant, First Defense targets flea eggs by dehydrating them so the flea cycle is not able to complete itself. Over the course of 2-4 weeks, developing flea eggs will die and the hatching flea pupae will eventually run out. Once flea pupae run out, the flea cycle will be broken. DIRECTIONS FOR USE: Before applying First Defense, be sure to vacuum all areas to be treated. Next, apply to dry surfaces such as carpeting, under couches, furniture cushions, etc. Sprinkle First Defense onto these areas at a rate of 1 lb. per 400 square feet and work into the fabric using a hard bristled brush or broom. Any material visible out in the open should be brushed into fabric fibers or removed after the treatment is allowed to sit for at least 2 weeks. Be sure to sprinkle under beds and furniture as well as areas where pets frequently traffic or sleep. Do not vacuum for at least 2 weeks after the treatment. Allow 3-4 weeks for maximum control. Reapply monthly as needed. This product will no longer be effective if a steam cleaner is used or if the product is allowed to absorb moisture. 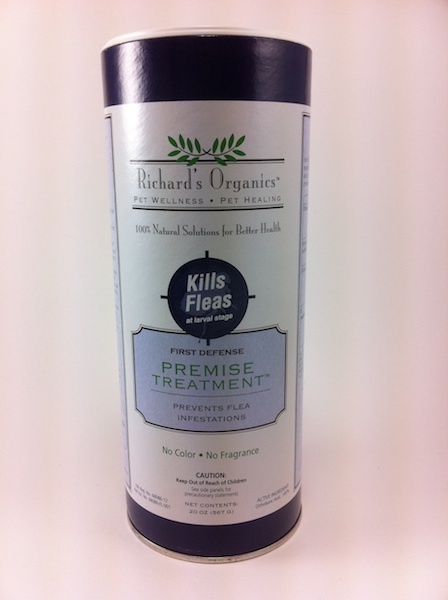 Now once fleas are gone, treatments will last 6-12 months and you will only need to treat once every spring and by doing so, remain flea free for the entire year!